UPDATED 8:21PM: For an update about the race for Kulik’s seat and to reflect a correction. A previous version of this post listed the wrong days Kulik and Scibak announced their plans. A pair of retirements in the northern Pioneer Valley are certain to enliven an otherwise sleepy election cycle in the 413. While US Rep. Richard Neal and West Springfield Senator James Welch face challengers, dislodging an incumbent remains a tall order. By contrast, there will be new faces representing the 1st Franklin and 2nd Hampshire District in Boston come January. The field for one seat is already forming. On Monday Worthington Rep Stephen Kulik announced he would be retiring this year. Kulik had served since winning a special election in 1993. Sunday night Rep John Scibak told supporters at what is normally his annual fundraisers he would not seek reelection. A former South Hadley Selectman, Scibak has not faced an opponent since his 2002 election. Scibak’s 2nd Hampshire district is one of three anchored by the region’s college towns. Spanning revived mill town Easthampton and Mount Holyoke home South Hadley, the district also includes Hadley and a Granby precinct. Last cycle, Ellen Story retired from Amherst’s rep seat triggering a free-for-all in the Democratic primary that Solomon Goldstein-Rose ultimately won. A similar scenario is possible in the race to succeed Scibak. Kulik’s sprawling 1st Franklin district, meanwhile, covers nearly two dozen small towns north of Northampton. Though he did not go completely unchallenged over the years, Kulik regularly nuked his opponents at the polls. Massachusetts’s rural areas have been trending away from Democrats. Yet, this far northwest, the area mirrors Vermont more than the increasingly Republican areas in Worcester County. “It seems like a good time to make a change and do some other things to spend more time in western Mass,” Kulik told The Recorder of Greenfield. The 1st Franklin House district includes the towns of Ashfield, Buckland, Conway, Chester, Chesterfield, Cummington, Deerfield, Goshen, Huntington, Leverett, Middlefield, Montague, Plainville, Shelburne, Shutesbury, Sunderland, Whatley, Williamsburg, and Worthington. In both districts, the winner of the Democratic primary will be overwhelmingly favored in the general. The loss of both Democrats will reverberate throughout the 413 and upper Valley in particular. Kulik held a plum spot on Ways & Means and had been a tireless advocate for local agriculture and regional school transportation. Municipal officials across his district were bracing for his lost of influence according to The Recorder. Scibak was the House chair of the legislature’s Higher Education committee. Public institutions of higher learning throughout the commonwealth saw him as an ally. With both the commonwealth’s flagship university campus and a panoply of liberal arts schools in and around his district, he was in a unique position to deliver for the local economy. 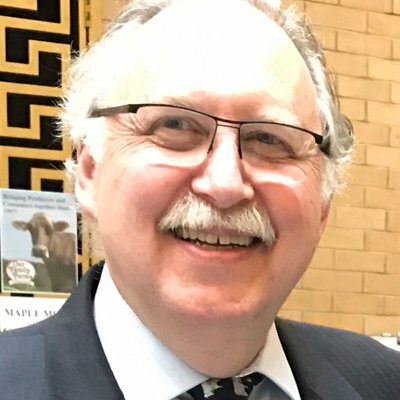 “John Scibak possesses a combination of passion and steady advocacy that has brought voice and resources to the 2nd Hampshire,” Easthampton Mayor Nicole LaChapelle wrote in an email to WMassP&I. The news of prominent House transitions comes amid a somewhat unsettled time for the region’s Senate district, too. Stanley Rosenberg, who represents wide swaths of Franklin and Hampshire County, recently stepped down from the Senate presidency amid a scandal involving his husband. But further speculation about his future has quieted after he pulled reelection papers this month. The diffuse nature of Kulik’s district leaves the contest completely open. The largest communities—Deerfield and Montague—do not have even 15,000 people between them. The low population density, but high voter participation may make the district comparatively expensive to win. Door-knocking can be impractical, shifting the voter outreach focus to calls and pricy mailers. However, Politico reported in this morning‘s Massachusetts Playbook that Worthington Democratic Town Committee Chair Casey Pease is looking at running for Kulik’s seat. Pease worked as a staffer on Bernie Sander’s Presidential campaign in 2016. In the 2nd Hampshire by contrast, the starting gun has already gone off. Easthampton at-large City Councilor Daniel Carey has announced he is running. Politicos from and familiar with the district expected this. There was talk about him entering the city’s mayoral contest last time around and he comes from Easthampton political stock—a relative held the same rep seat. Carey, the Northwest District Attorney’s drug treatment program director, pledged to campaign on battling the opioid crisis among other issues. He also thanked Scibak for his service. So far, Easthampton insiders were not sure who else could gather the money and people power to match Carey’s. The city is still recovering from the mayoral battle last year that clove Easthampton in two. Carey sided with Joy Winnie over LaChapelle, though big names like his boss, David Sullivan, could provide political firepower. Whether the field from Easthampton will grow remains an open question. Others, however, expect a field to develop across the Connecticut River. One talked about South Hadley name is Select Board Clerk Andrea Miles. Elected last year, she has been described as thinking about state office eventually. Now may be too soon, but she has not closed the door. Reached via Facebook, Miles said “several” people had approached her since Scibak’s announcement. “While I haven’t made a formal decision as of yet, I am exploring it from all angles,” she explained. Etelman declined to speculate about contenders and refused comment about her colleague specifically. However, she did express what she would like to see in the field. “At that level of elective office, I would love to see somebody who has some public service,” she said. Etelman emphasized this was merely her personallpreference. Yet because the region was losing two legislative veterans well-versed in Beacon Hill’s ways, she felt service in town meeting or on an appointed board could be helpful. In addition, women have been running—and winning—in record numbers in the Trump era. The 413 currently has a pretty low score in terms of women serving as state legislators. Only two state lawmakers from the four western counties—Reps Tricia Farley-Bouvier of Pittsfield and Susannah Whipps of Athol—are women. “I would love for there to be lots of women running in this race,” Etelman added.